Killing people in real life is a good way to get in trouble. Threatening to kill people is also not a great idea. In the world of video games, though, we kill people all the time. They’re not real people, which makes it totally fine. Hitman 2, a game all about murdering NPCs, just released its first Elusive Target – a limited time mission where you have to efficiently take out a special character. 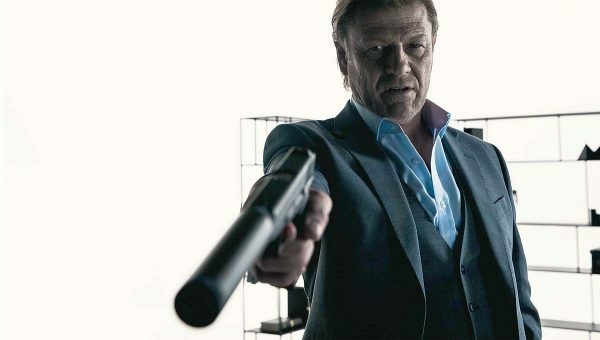 For the first one, your target is played by British actor Sean Bean, a man who famously gets killed in everything he’s in. It’s a clever partnership and people have been genuinely excited about being responsible for the actor’s virtual demise. In fact, some people have been taking to Twitter to chat about it. 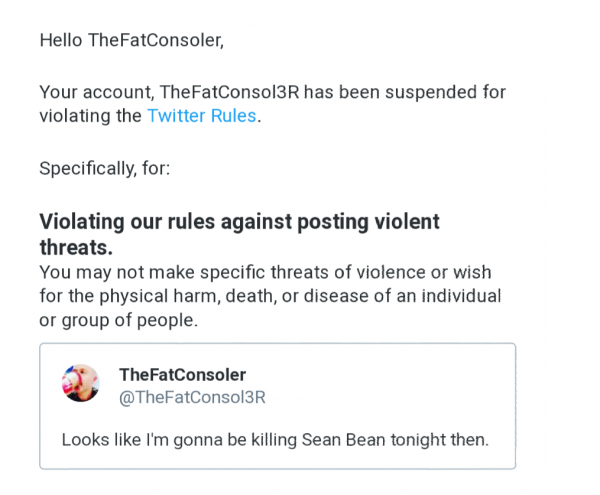 In a recent tweet, Twitter user @TheFatConsol3R mentioned that he was off to play the Elusive Target: “Looks like I’m gonna be killing Sean Bean tonight then.” This resulted in a permanent Twitter suspension. He’s since tried to contest the ban, explaining that he was talking about a video game, but Twitter has ignored his emails. Be careful out there, killers. Update: Four hours after this story was published, TheFatConsol3R’s account was reinstated. Whether this was pressure from the media coverage or the long email he sent earlier isn’t clear. If I were you, I’d still tread carefully.